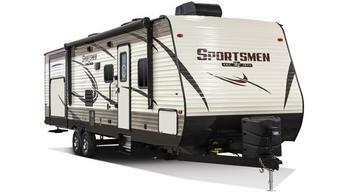 KZRV is recalling 55 model year 2018 KZRV Sportsmen Classic recreational trailers, models 130RB and 150RBT. These vehicles have a Norcold N306 mini refrigerators that may have a loose or missing propane gas valve test port screw. KZRV will notify owners, and dealers will install and tighten the gas valve port screw, as necessary, free of charge. The recall is expected to begin June 1, 2018. Owners may contact KZRV customer service at 1-800-768-4016 extension 154 or 153. KZRV's number for this recall is KZ-2018-02.